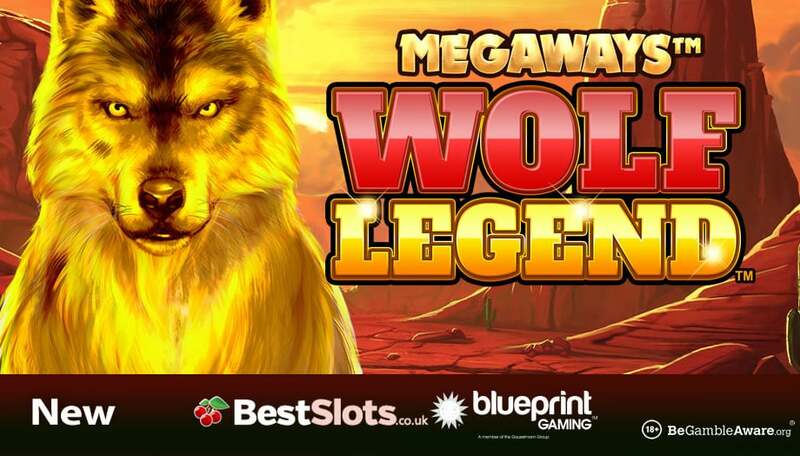 The latest MegaWays title from Blueprint Gaming can pay up to 50,000 times your stake on each free spin – read more about Wolf Legend MegaWays. 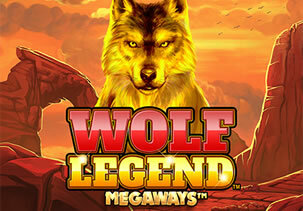 Wolf Legend MegaWays is the 12th MegaWays slot game to be released by Blueprint Gaming and has 6 reels and offers you up to 117,649 ways to win. Set in the American wilderness, you can spin away from as little as 10p a spin across desktop, mobile and tablet devices (including iOS and Android). With a rocky desert in the background, you will see eagles, bulls, big cats and wolves on the reels. When you get a winning combination, the Cascading Symbol feature comes into play – the winning symbols disappear with new ones filling the empty spaces. This allows you to win again and again from every spin. Wolf Legend MegaWays also benefits from Mystery Symbols which transform symbols into the same matching one for enhanced winning potential. However, this slot game is all about the Golden Streak feature – if you see numbers land in the free spins, the free spins continue. Once you’ve run out of spins, this is the number of free spins you’ve won. Then you have the option to gamble your free spins to win more in the Gamble feature – if you lose, you will revert back to the base game. Anyway, once you’re in the Free Spins feature, each cascade will trigger the Unlimited Multiplier feature – the multiplier increases by 1 with each winning combination. With no limits to how high the multiplier can go, you can also retrigger the feature for endless free spins. If you don’t want to wait, you can buy your way in by activating the Legend Free Spins Bonus Bet feature – this sets you back 75 times your stake. You can play Wolf Legend MegaWays, and all other MegaWays titles, at Videoslots Casino – with more than 3,400 slot games on offer, they’ve started to add a lot more Playtech slot games including Age of the Gods and Age of the Gods Furious 4. Other new arrivals include Thunderkick’s Midas Golden Touch, Pragmatic Play’s Wild Pixies and Microgaming’s Ancient Fortunes: Zeus. Sign up to get a 100% first deposit bonus up to £200 – you’ll also get £10 extra cash and 11 wager-free welcome spins on Net Entertainment’s Starburst. With 24/7 customer support, they offer you cashouts within hours and lots of promotions.